Brothers is one of the leading menswear brands in Sweden and Finland with over 70 stores across the two nations. The brand’s clothing is regarded as timeless, high quality and the perfect fit for the modern man. Brothers aims to be Sweden’s top men’s outfitter by developing a new concept with focus on high quality, personal service and great knowledge on fit and style. The challenge for Brothers lied in the fact that many in the target group didn’t recognise the change and thus didn’t see Brothers as a smart alternative to the premium brands. Swedish men have a great interest in clothes and style. However many men have problems with finding clothes that actually suit their body type because of lacking knowledge about fit. Many men don’t fit into the standard size system yet no other brand has ever taken ownership of the question about the right fit for men. Brothers are experts when it comes to fit and style. To communicate this, we created the integrated campaign ‘We Serve to Suit You’. 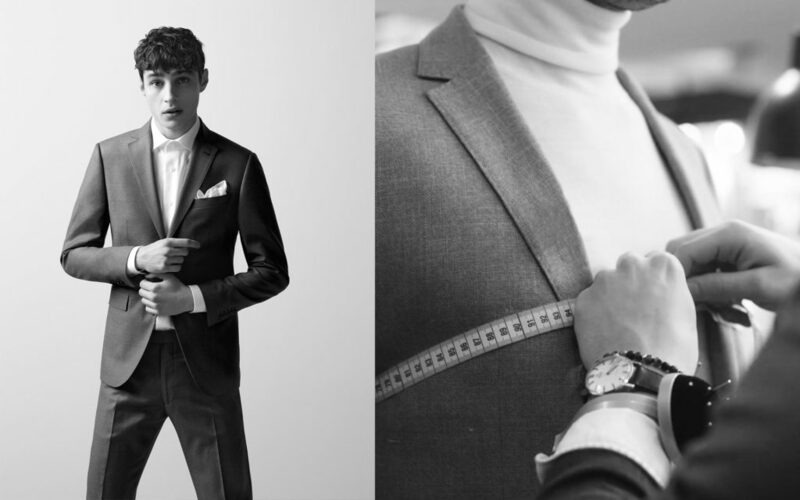 The purpose of the campaign was to guide Swedish men to a more well dressed style, suited for their unique body measurements. To meet customers where they actually are, Brothers went on a tour all across Sweden in order to educate Swedish men about finding the perfect fit and style. Brothers also did a ‘dress over’ competition on Facebook, YouTube films, posts on Brothers’ social channels and collaborations with influencers. Brothers also did a SIFO study that worked as a PR engine for the whole campaign. The campaign got great national media attention with a total reach of 5.3 million and over 53 clippings. Sales in stores close to the tour increased by 52% and 85% of the customers who visited the tour said that their interest in Brothers had highly increased. Across the Brothers social accounts, they received a total reach of 400 000 and 250 000 post engagements on Facebook and Instagram, and 600 000 views on YouTube. Brothers is one of the leading menswear brands in Sweden and Finland with over 70 stores across the two nations. The brand’s clothing is regarded as timeless, high quality and the perfect fit for the modern man. Read more about Brothers here. In our partnership with Brothers, we act as an all encompassing strategic and creative communications partner. We support the label in everything from creating concepts to carrying out the campaigns across all channels; PR, social media, bought media, events, in-store communication, influencer marketing etc. Brothers is one of the leading menswear brands in Sweden and Finland with over 70 stores across the two countries. The brand’s clothing is regarded as timeless with high quality and the perfect fit for the modern man. During Brothers’ spring campaign we collected data from 276 men living in Sweden to find out what their bodies really look like. Skinny, long arms, short legs, love handles, and sloping shoulders. All body was included. The differences between men’s bodies are huge and few fit into the standard size system. Many men feel that the stereotype image about the male body is far from their own physical reality, which creates insecurity. On top of this, most men feel that talking about their bodies is a taboo. We have taken Brothers out on a tour all across Sweden in order to educate and talk to Swedish men about finding the perfect fit and style suited after their own unique bodies. This season men can bring their old suits with a bad fit to the tour and get them tailored after their own bodies – to their ‘Size you’. We have also created a campaign site where men can get their own personal digital style card with information about their body type, size and tips on what kind of clothes and fit that is the most flattering for them. Based on the data we got from male bodies in the spring campaign we created an avatar of the average man’s body that worked as a PR engine for the whole campaign. We have also recorded films to enlighten the problems with male body ideals. In these films, ‘normal’ men with different body types in Brothers’ target group got to talk about their own bodies, complex and the challenges they face with the male body. These films and a great amount of other content have been/are being published in Brothers’ social channels, and we have also done influencer collaborations as well as print advertisement. Moreover, we did a social media competition in Brothers’ channels where people had to motivate why they needed to win a well-dressed outfit tailored after their bodies, and the winners were filmed as they got the dress over. The campaign is still on going but up until now we have got great media attention. The campaign has for example been featured in men’s lifestyle magazines such as Café, King and Metro Mode Man.